October is my favorite month. 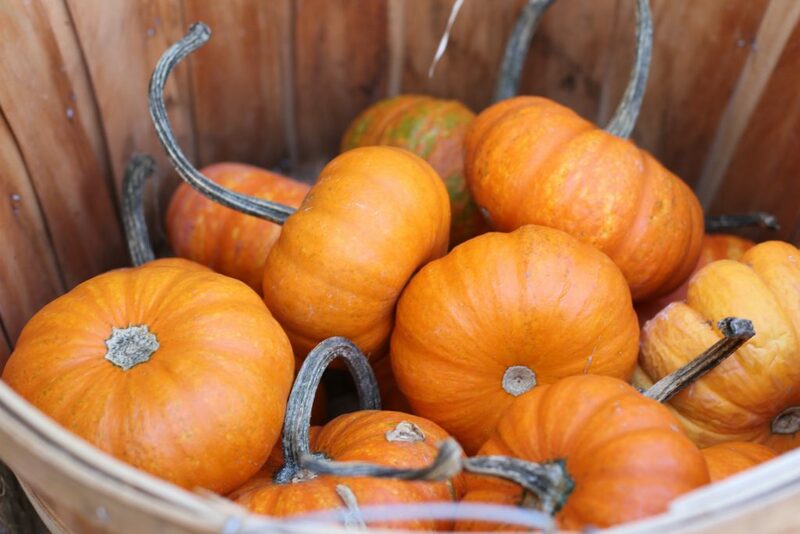 The weather is great and there are so many reasons to be outdoors: like all of the New Jersey pumpkin patches! We visit them on the weekends and even during the week for less crowds. I guess from all our pumpkin patch photos people can tell we visit quite a few and are often asking for recommendations. 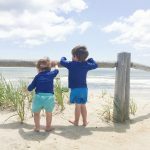 We switch it up from year to year and I have put together a list of some favorite places to go pumpkin picking around the Garden State. This is probably our favorite farm. It’s a large farm with acres of beautiful land. In September there’s a sunflower field that is amazing. 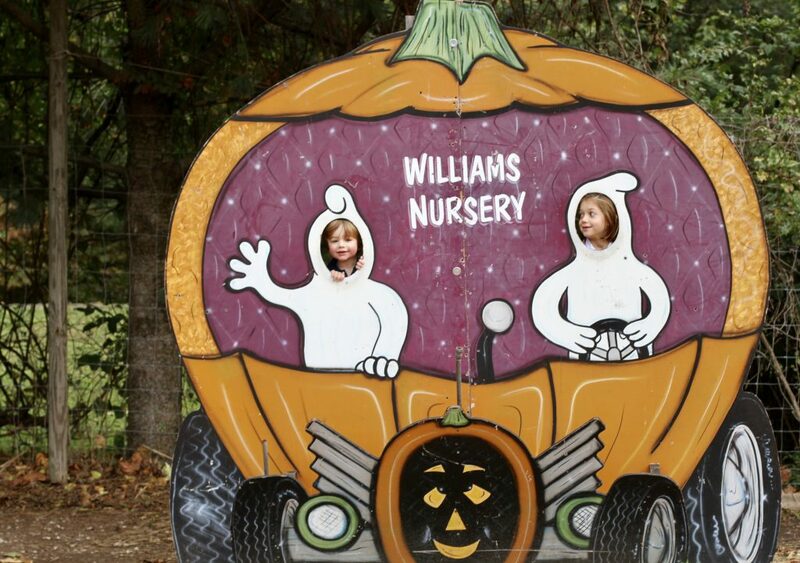 Donaldson’s has lots of fun activities like a big sandbox, games, pony rides, animals to feed and of course pumpkins. The activities are around a big open space that kids can run around in. Even though it can get a little crowded on weekends, I find the set up of the farm makes it still manageable, fun and enjoyable for families. There is no fee to enter but a charge for the activities you do. They also have an amazing market of fresh foods too! Teeny Alex at Donaldson’s Farm a few years back. 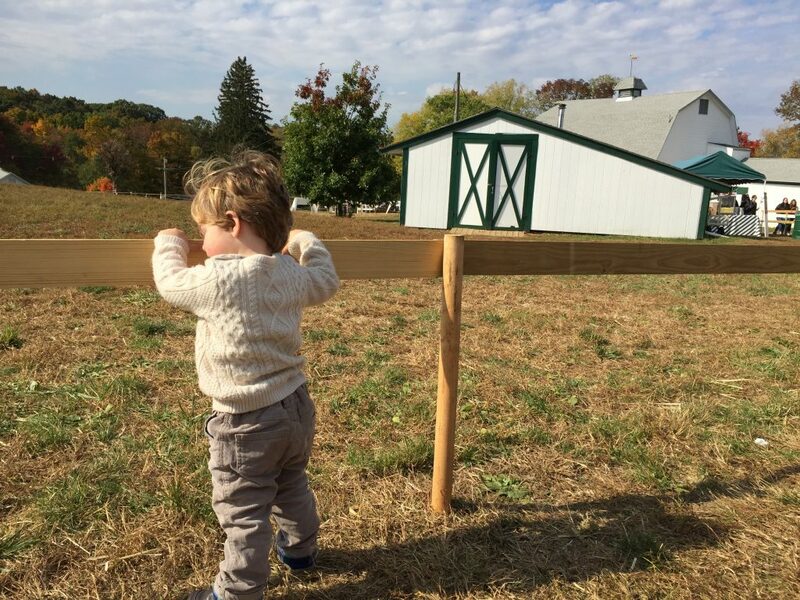 This nursery in Westfield is the perfect size for little ones. It’s small and if you go during the week, there are no crowds at all. 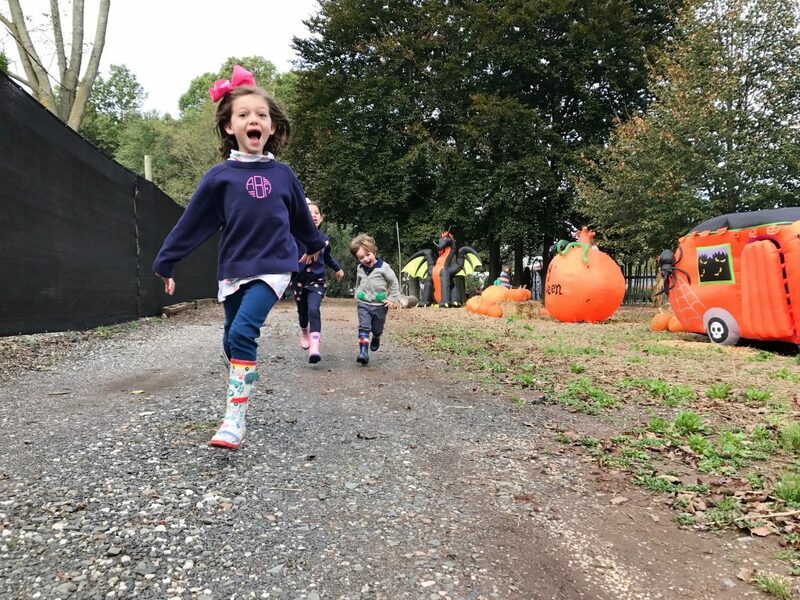 There’s a small (perfect for preschool age) maze, a pumpkin patch and a hayride on the weekends and for parties/field trips. If your kids like seeing inflatables on lawns and beg you to buy them… take them to William’s . Along the hayride trail they have pretty much every Halloween inflatable you can imagine. There is no fee to enter the nursery or enjoy the activities. There is a fee for the hayride. 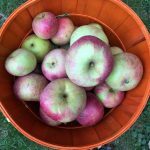 We organized a group trip there last year and it was wonderful – all the kids got mini pumpkins and cute jack-o-lantern sippy cups of apple cider. They do the same for fall birthday parties. Everyone super excited about the Halloween inflatables. We visited Snyder’s Farm once and it was awesome! 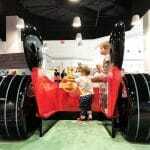 There is so much to do and really fun for all ages. 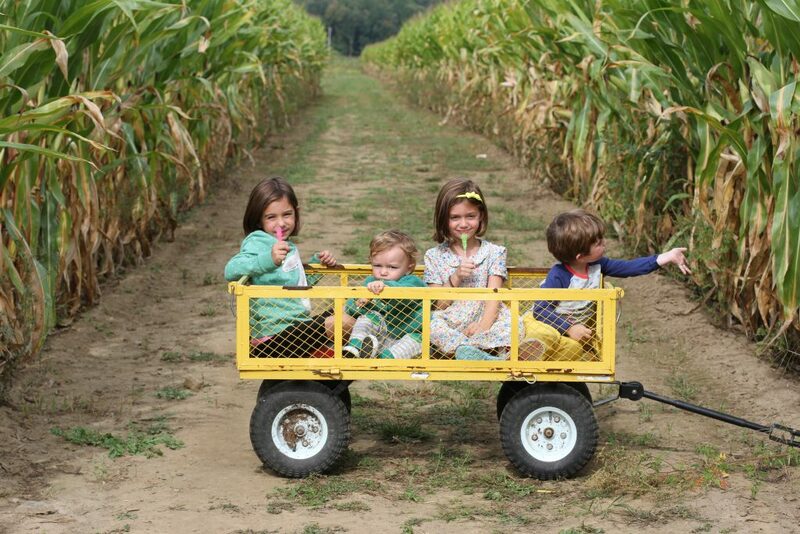 You take a hayride from the parking lot to the farm, which gets everyone ready for a festive day. The big hay slide is a blast! Ort Farms was my absolute favorite as a child. It’s a lot of fun and on a giant property. They have been open for over 100 years! The pumpkin patch and farm store are on one side of the road and the activities are on the other. It’s a very big place and so festive and fun around Halloween. There are honestly so many activities that we never can do them all in one day. It’s great though because I feel like the multitude of activities helps reduce the lines at activities and makes it feel less crowded. 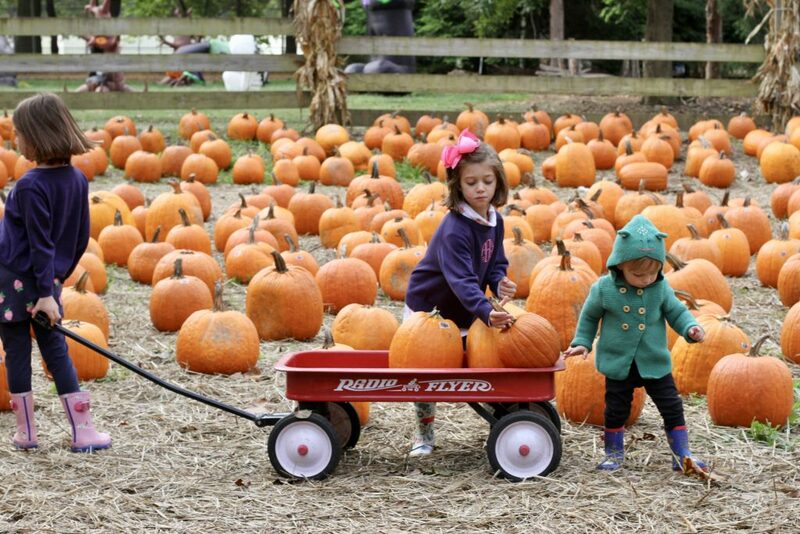 Riamede Farm is out favorite for apple picking but they also have a great pumpkin patch. I find it gets less crowded than other farms because besides apples and pumpkins, there are not all the other activities (animals, rides, etc). 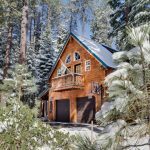 The property is beautiful and they have the best apple cider donuts around! Tommy at Riamede last year. Alstede was another favorite as a child and I used to take the girls all the time when they were babies/toddlers. Unfortunately it’s gotten way too crowded (in my opinion) and the parking lot scene is so chaotic, with buses dropping people off etc. If you are going to visit, I’d highly recommend a weekday. 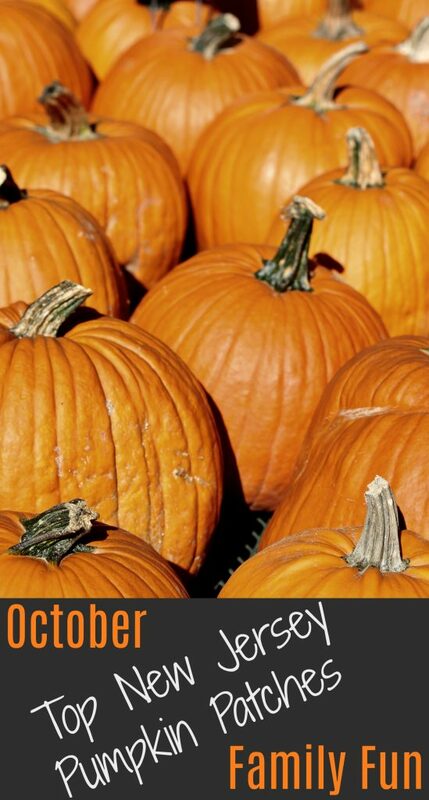 You won’t get all the activities but there will be plenty of pumpkins. I’ve been visiting Wightman’s Farm since the days of going on field trips in elementary school. 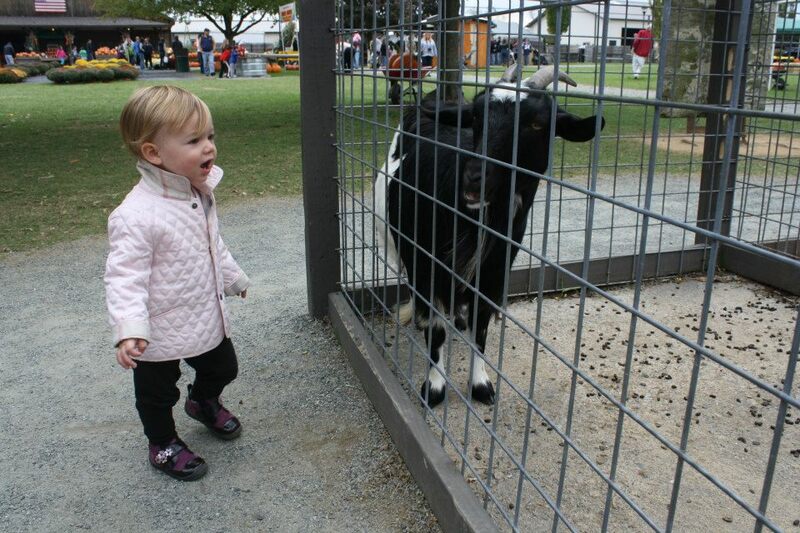 It’s a great farm for families. The activities are only offered on the weekends and include hayrides, a pumpkin slingshot, pick your own apples, a hay maze and more! There are different packages you buy based on what you are interested in doing there for the day. Monogrammed sweaters in post from Beaufort Bonnet Company. This is the next farm we’ll visit! I have heard great things about it, including a Bee Farm you can see. There is a fee to enter but I have heard there are a lot of activities to do. For all of the places listed, we go during the week or first thing in the morning. 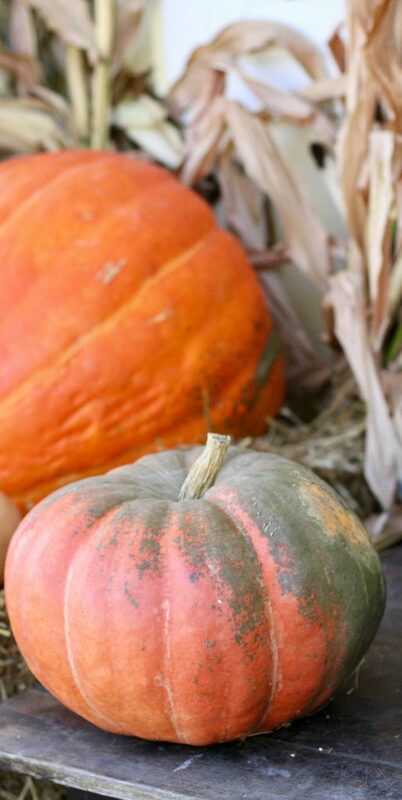 I love pumpkin patches and fall activities but do not like crowds! We’re checking out Sesame Place for the first time this fall to see the Halloween Spooktacular. Details on the trip to come! 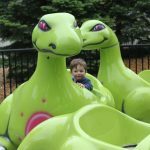 Read this post all about the fall fun at Dutch Wonderland’s Happy Hauntings. We went to NY State this fall and had a great time! 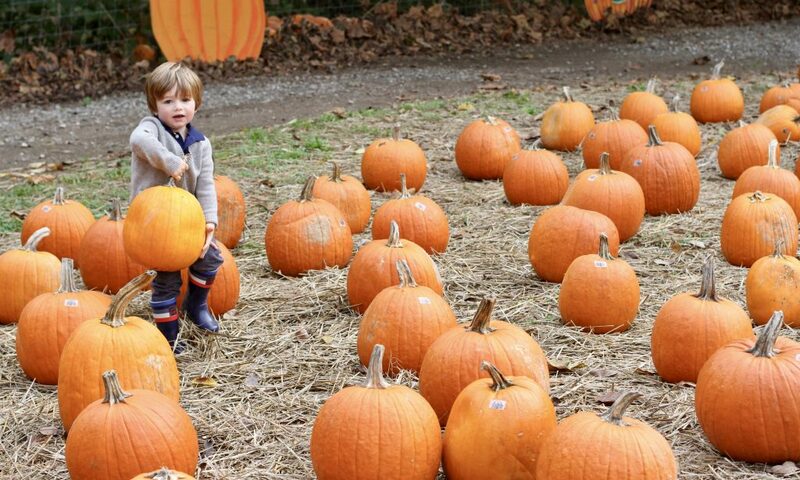 We visited the cutest pumpkin patch there. Visit this post for details on the area. What are some of your favorite places to visit in October?